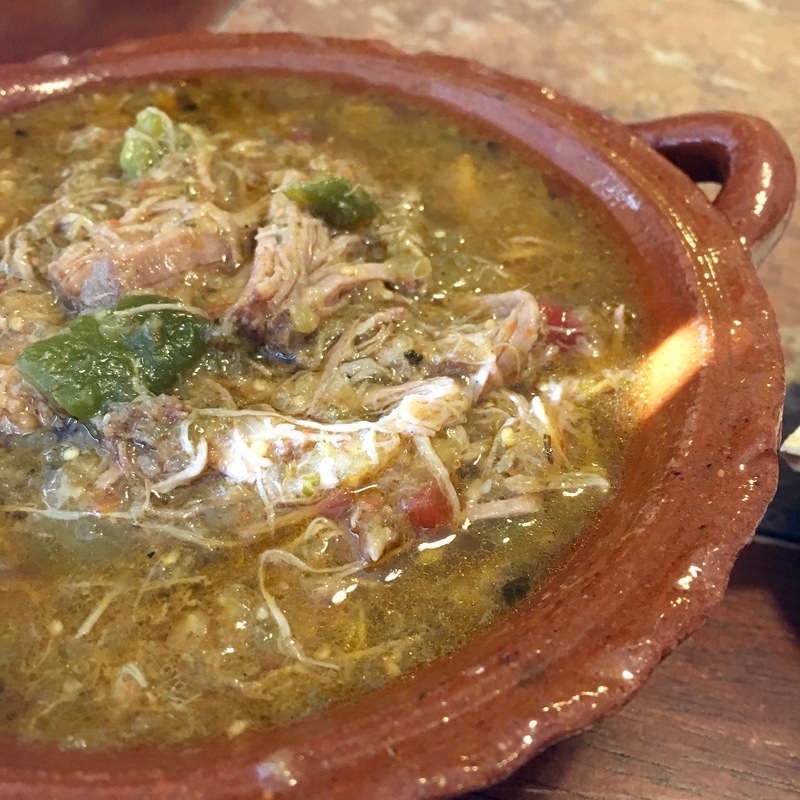 This classic style Colorado Green Chili has plenty of green chiles, tomatillos, tomatoes and pork. 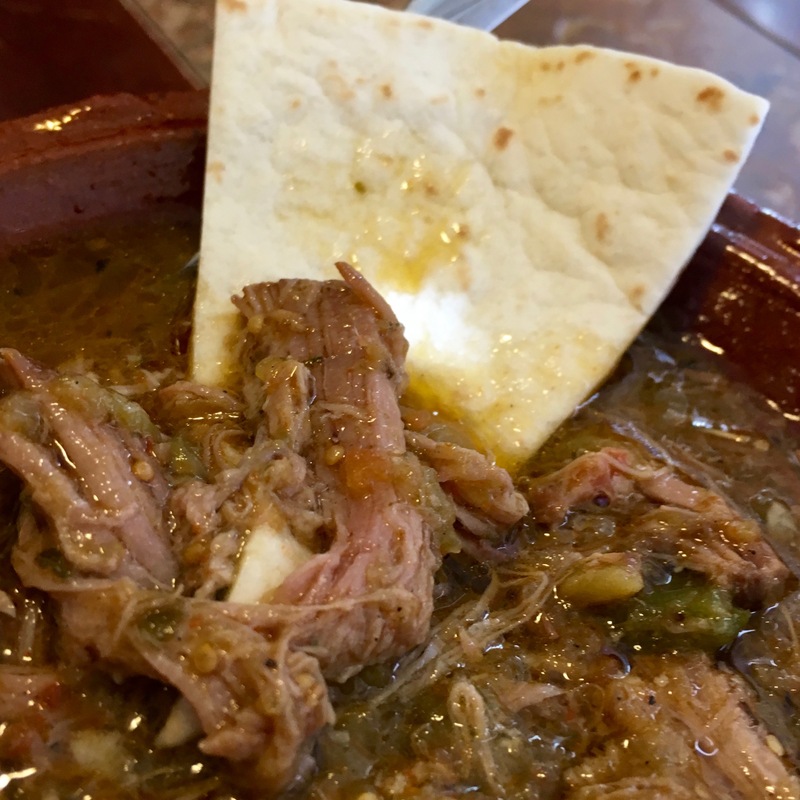 Since moving to Denver, we have been immersed in a world full of delicious, homemade Mexican food, and most importantly – green chili. Green Chili is on EVERYTHING in Colorado – fries, breakfast burritos, regular burritos, tacos… you name it! 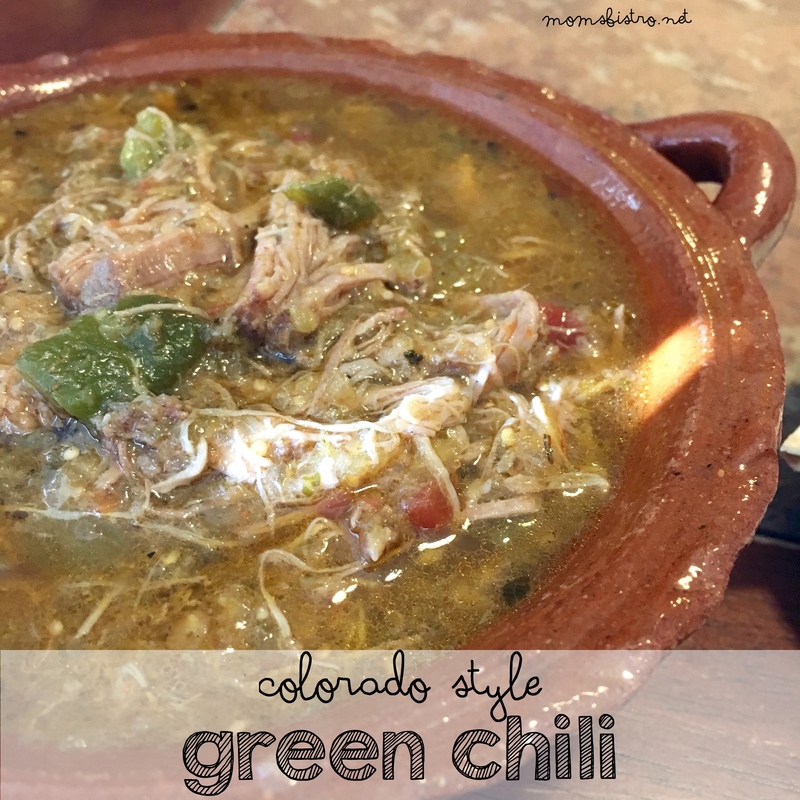 Green Chili has quickly become one of my favorites, and I try the green chili everywhere I go! Colorado loves their green chilies so much, they even have a festival every year in their honor! 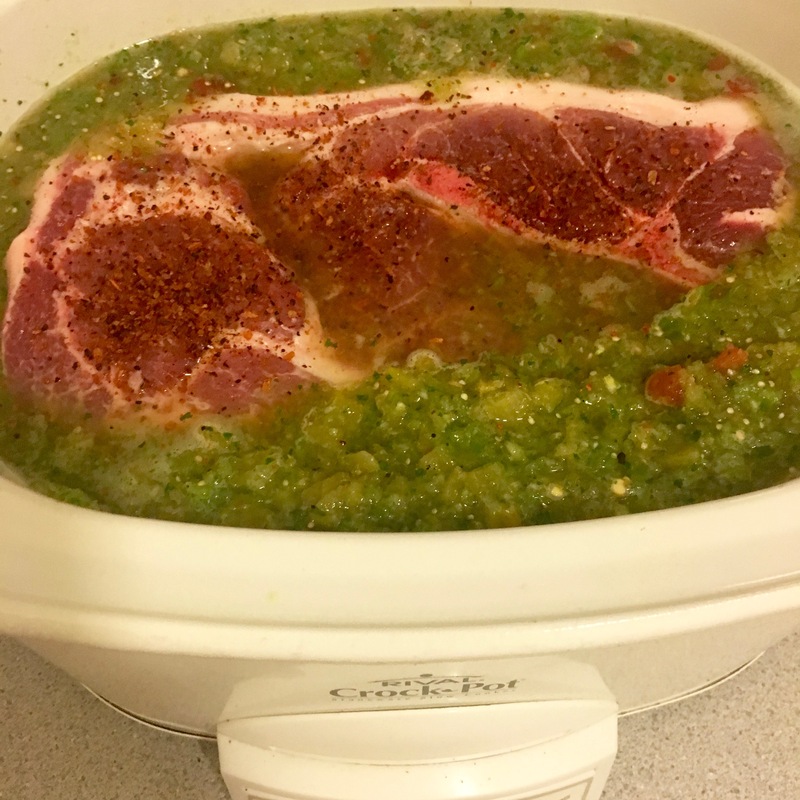 Colorado Green Chili is the perfect meal for those cold, winter days we have here in Colorado. You can eat it on its own as a chili with warm flour tortillas, like we did for this weeks Sunday Supper or smothering another dish. 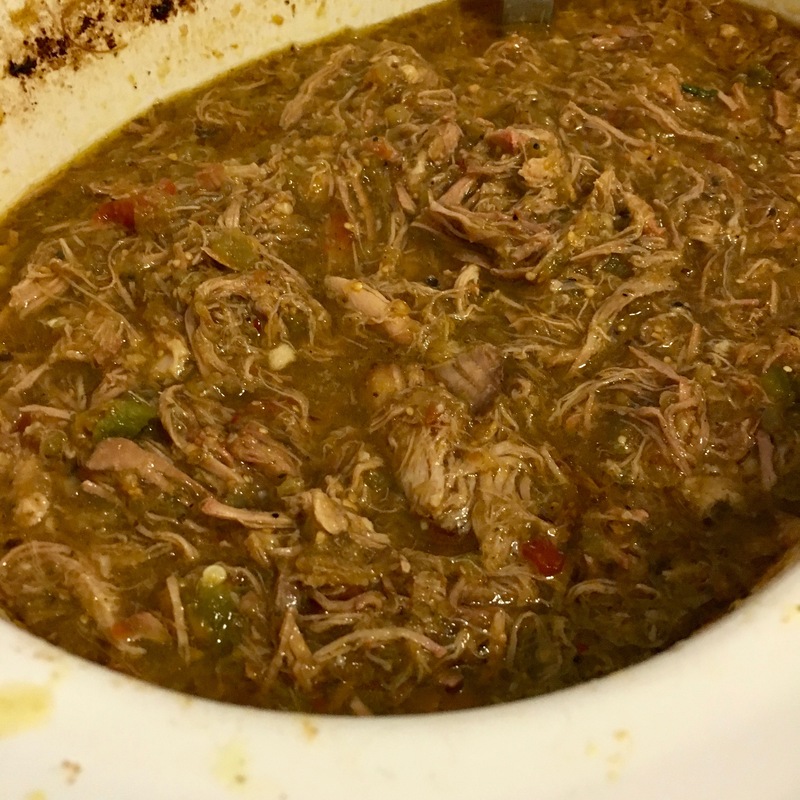 The chili gets its green color from tomatillos and green chilies and the pork shoulder is slowly cooked in a broth until tender. 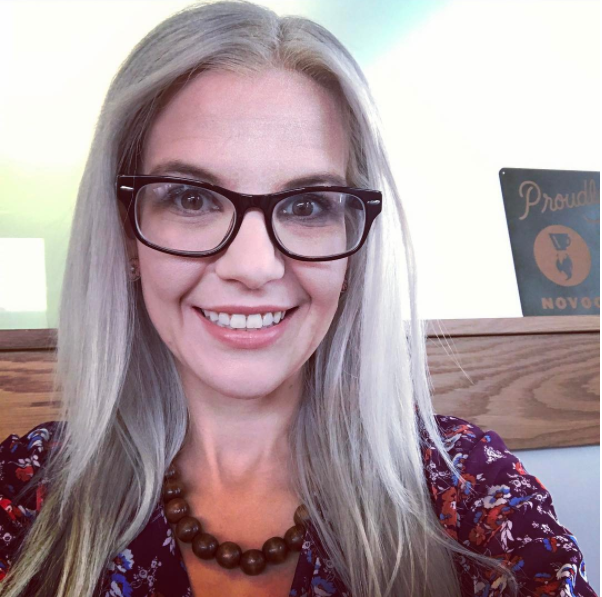 If you’ve never been to Colorado, in the fall every year, when the hatch chiles are plentiful, there are stands all over the side of the road with big fire burning roasters, roasting bushel after bushel of chiles. The smell is intoxicating and can be smelt from miles away as you’re driving down Colorado roads. If you really want to make a Colorado style meal, have a Denver omelet (eggs, ham cheese and bell peppers) for breakfast, then serve this green chile along with your favorite local Colorado brew! We like Breckenridge’s 471 IPA with our Green Chili! Green chili can tend to be a little bit soupy because it’s also used as a sauce to smother other foods. Well, smother basically every Mexican dish I can think of. If you want a little bit thicker green chili, make a slurry of water and flour (2 tbsp flour to 1/4 cup water), and add it with the tomatillo sauce. I used my CrockPot to make this chili, but you can just as easily roast the pork in a dutch oven slowly in your oven. 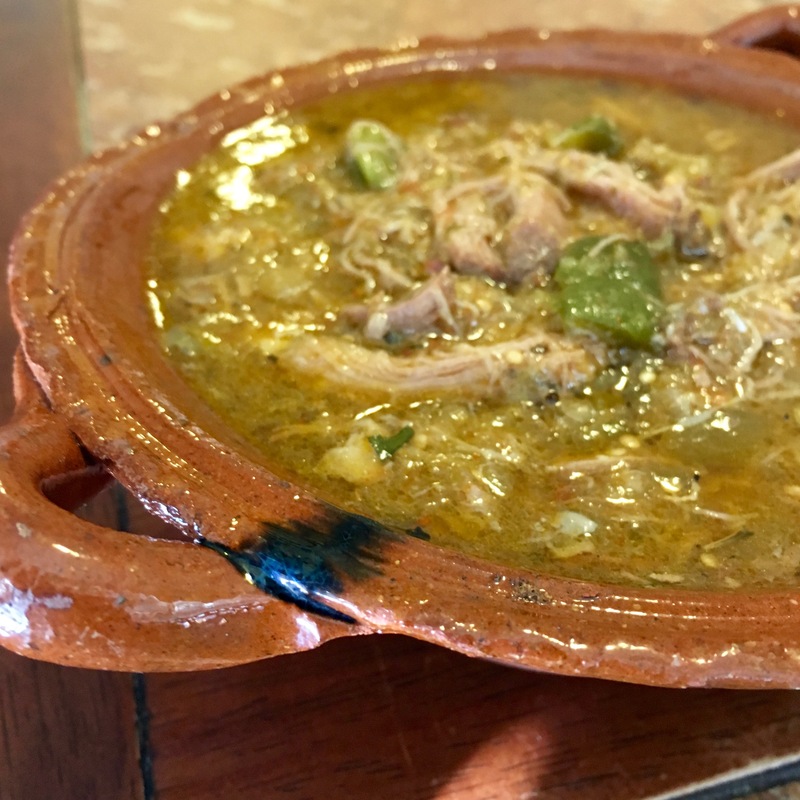 However you decide to make green chili, and however spicy you want to make it, you’ll come back for more and more and start smothering all of your favorite Mexican dishes with this green chili. In a blender, combine tomatillos, onion, garlic, half of spices, lime juice, cilantro and jalapeños (if using) and blend until smooth. Add tomatillo salsa, green chiles, rotel and chicken stock in the base of crockpot and stir to combine. Place pork over the top of the sauce and season with remaining spices. Cook on low for 10-12 hours. 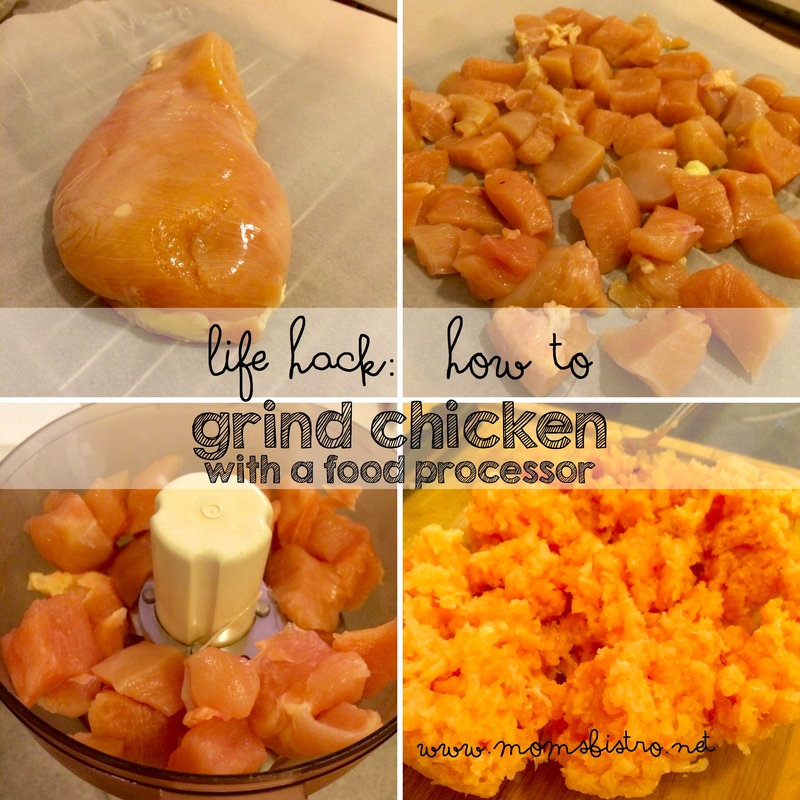 Serve with warm flour tortillas or smothering your favorite Mexican meals! 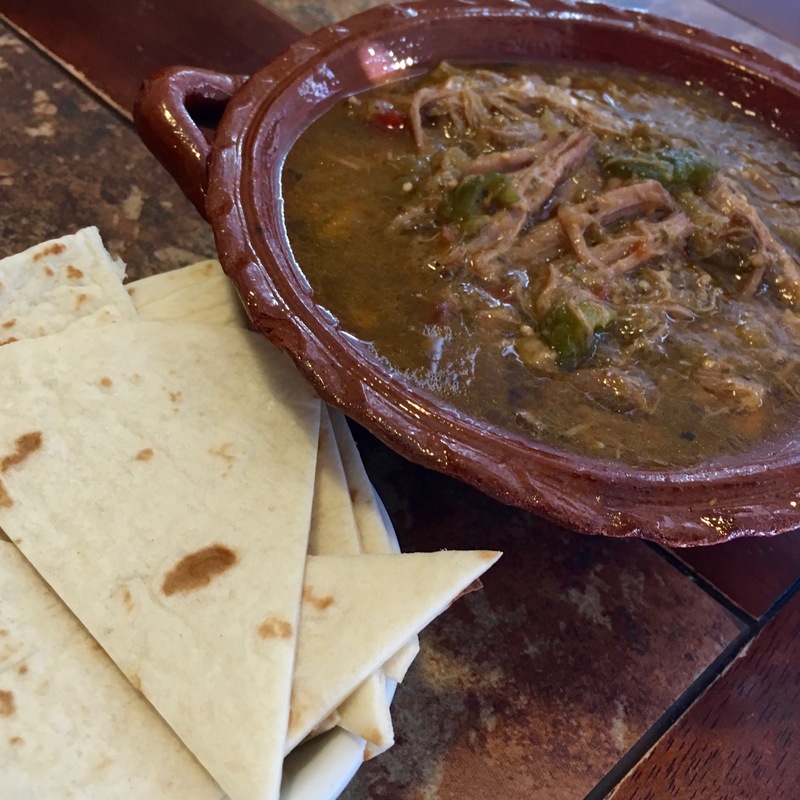 My favorite way to serve this green chili is with a breakfast burrito! How do you like to eat your green chili? 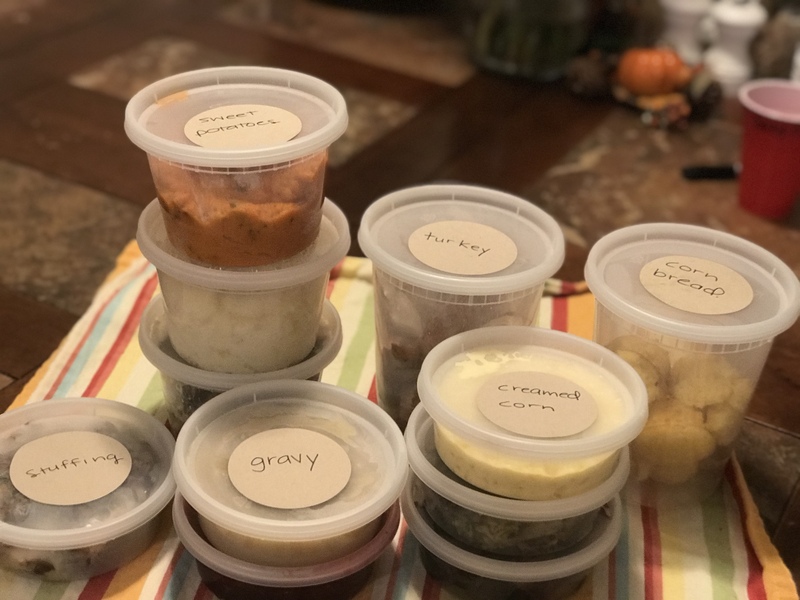 For the FREE printable PDF version of this recipe to add to your collection, click the link below. Cans of green chillies… What size cans? hahah.. guess that would have helped, 4.5 oz! 3 lbs tomatillos – about how many is this?